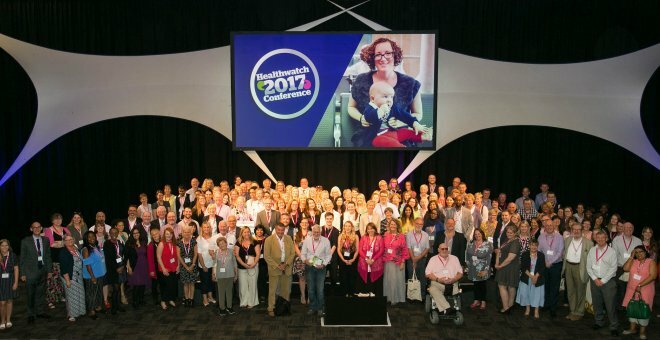 The Healthwatch Network Awards of Achievement are celebrated every year to recognise the individuals and HW teams who have demonstrated exceptional impact within local communities. This year, our Help & Care colleagues from Dorset, Isle of Wight and West Sussex received awards for their hard work. HW Isle of Wight have been awarded for improving the quality of care in nursing homes. During 2015/16 we received an increasing amount of negative feedback about the quality of care in some nursing and residential care homes on the Island. Our team visited 13 nursing and residential care homes to look at the quality of care provided to older people, and we talked to staff, residents and their families about their experiences. We found that, while some of them were delivering outstanding service and had plans for improvement in place, others were not even meeting basic needs. After this evaluation, we shared our findings with the key local decision makers. As a result, steps have been taken to make things better. Thanks in part to Healthwatch Isle of Wight’s efforts, 69% of all care and nursing homes have now received a good rating by CQC, 30% require improvement and no homes are rated as inadequate. 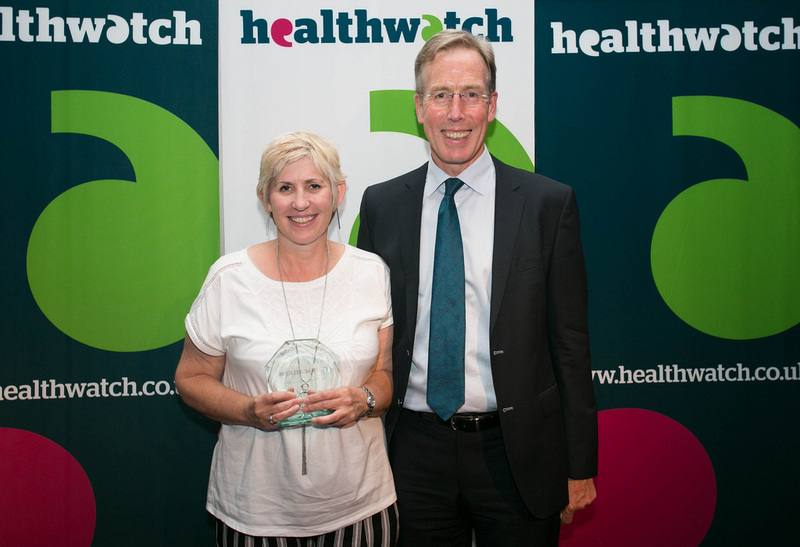 Healthwatch West Sussex – Award winners for "#ItStartsWithYou"
Healthwatch West Sussex came out top for their nomination of Maria Cook, a local parent carer campaigning for improving services for children with autism spectrum disorders. After years of stressful visits to the doctor, Maria decided to take action. Working with Healthwatch West Sussex and her GP practice, they encouraged over 100 families to share their experiences and suggestions for improvements. Based on what people told them, the group created a five-step plan that GPs could follow to make a real difference to parents and children with autism. More than seven GP practices are already using the plan to make positive changes to the way they work with people with autism. In addition, the findings and recommendations were used by Healthwatch England in their recent campaign to mark Autism Awareness month, and also have now inspired West Sussex County Council to commission a research project reviewing the experience of Adults using General Practice, which will take place across the county. Healthwatch Dorset - Highly Commended Award for “Information & Advice” and "#ItStartsWithYou"
Healthwatch Dorset received three Highly Commended Awards, one in the “Information & Advice” category, and two #ItStartsWithYou awards. The commendation for “Information & Advice” was awarded for two specific pieces that HW Dorset made to provide accurate, reliable, relevant and useful information, in a format that meets the public’s needs. HW Dorset worked alongside Poole Forum (a speak-up group run for and by people with learning disabilities) to produce an easy-read guide on how to make a complaint about a health or social care service, and with the Bournemouth Deaf Club to create a video about Healthwatch in British Sign Language (BSL). The Healthwatch video features members of Bournemouth Deaf Club and is presented by our colleague Matt Kirby. The #ItStartsWithYou award highlights the difference that members of the public and patients giving their feedback on local health and care services can make. HW Dorset worked with Joely Colmer, who has Asperger’s Syndrome, to encourage children and young people to express their views about what they think of local health and social care services through creative drawings, paintings, videos, poems and essays. 96-year-old Rosetta West, who lives at Melton Court sheltered housing in Poole, waited for over four hours for an ambulance after a fall. Rosetta remained on the floor, anxious and in pain, as safety protocols would not allow staff to lift her. Healthwatch Dorset shared Rosetta’s experience with Dorset MP Richard Drax ahead of a debate he was leading in parliament about ambulance waiting times. The process has helped to design a new training and development programme for sheltered staff across the county in how to lift people after an incident.